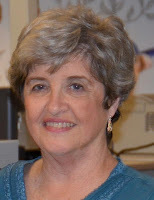 GeneaWebinars: Free UGA Webinar -- Alice Volkert - "Do It Backwards: Finding Descendants First"
Free UGA Webinar -- Alice Volkert - "Do It Backwards: Finding Descendants First"
Our special guest speaker this month, on February 21st at 7:00 p.m. MST, will be Alice Colby Volkert. Hr topic will be "Do It Backwards: Finding Descendants First"
This presentation discusses researching descendants of someone. Usually we do not do that! But sometimes there is a good reason for going the opposite way! Alice is a professional genealogist who understands the need that people have to learn about their ancestors and is delighted to help them meet that need. She is a popular speaker at Jamboree, UGA, and Expo Genealogy Conferences as well as local Family History Fairs and genealogy societies’ meetings. Alice is on the board of the Southern California Chapter of the Association for Professional Genealogists and is a member of the Genealogical Speakers Guild. She has been associated with the Orange County Family History Center for many years and served with FamilySearch for over 4 years.